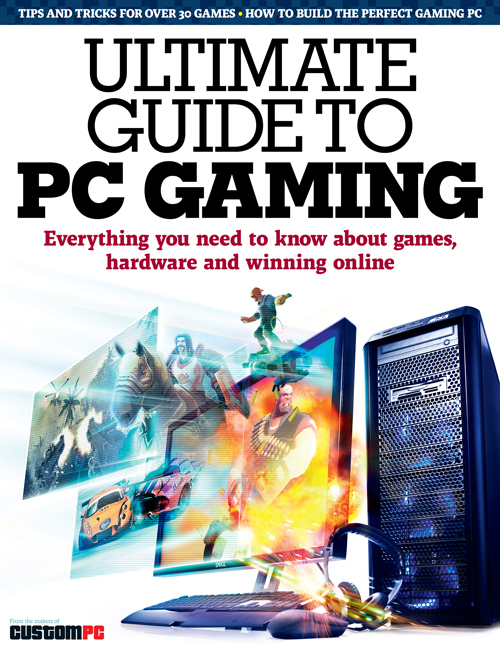 I’m pleased to announce the first ever Custom PC book, the Ultimate Guide To PC Gaming, out just in time for Christmas on the 4th of December. It’s everything you need to know about PC gaming in one 174-page book. It went to press yesterday, so we’ll get copies in the office at the end of next week hopefully. A lot of work went into the book – and I’m really pleased with the design and writing in it. The internal design was inspired by the design of Factory Records sleeves, as I was recently given a book called FAC461 – Factory Records, The Complete Graphic Album, which features lots of the famous Manchester record label’s beautiful designs. We used a font very similar to the one found on the front of Joy Division’s Substance, and the bright colours and grids were developed from the look of some of New Order’s singles. The writing’s aimed at a more mainstream audience than CPC is,the idea being that there’s a very strong line-up of PC games at the moment (WoW, Warhammer, Left 4 Dead, Crysis, Fallout 3 etc etc) but that people might be put off playing them because the PC is typically thought of as a difficult machine to use, especially in contrast to games consoles. Hopefully the book will succeed in demystifying PC gaming and showing what a rich, varied and involving experience it can be. It’s going to cost £7.99 and is available from WH Smiths and Borders. You can also buy it from Amazon. Updated: The book’s official site is up now at www.custompcbooks.co.uk. This entry was posted in Custom PC and Bit-Tech, Games. Bookmark the permalink.